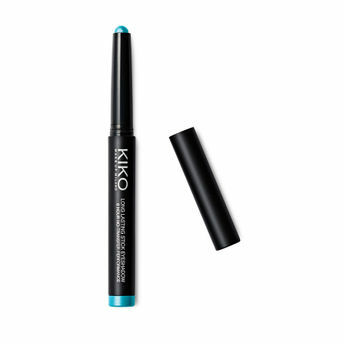 The Kiko Milano Long Lasting Stick Eyeshadow is here to provide extreme hold for a blendable intense colour. The creamy formula ensures extreme blendability of the line immediately after application. Once set, the colour remains uniform and radiant for up to 8 hours, without streaking or smudging. These eyeshadows are water resistant. The long lasting Stick Eyeshadow gives splendid, pure and vibrant colour tones. Application is simple and comfortable, thanks to the special rounded stick and its ultra-smooth and light texture. Available in 32 high-impact shades. Alternatively, you can also find many more products from the Kiko Milano Long Lasting Stick Eyeshadow range.